You don't need a shed full of hardware to get things done around the house. Even if your weekend workload looks like a real life episode of This Old House, you probably rely on a fairly small core set of tools. 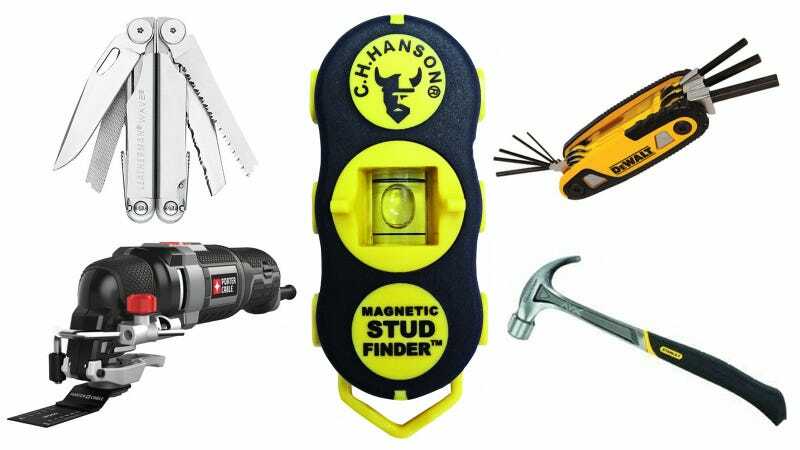 Here are a few items suited for both ends of the spectrum—whether you can build a back deck or barely assemble furniture, these items all make a nice addition to the toolbox.